When fasting you won’t lose any muscle mass and it’s advised to work out when you are fasting to burn the optimal amount of fat. If you are overweight make sure you go and see a doctor before you start fasting. Fasting can boost body transformation very quickly if you just fast for a day or 2. Fasting can also help to clear the mind and help connect you deeper to spirit. 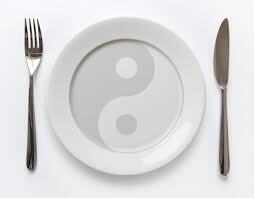 However, if you just want to fast for the health benefits, there are a number of health benefits to fasting. Several studies in rats have shown that intermittent fasting may increase the growth of new cells, which may have benefits on brain function. So, whether you’re looking to lose weight, or just improve your health. Intermittent fasting and water fasting can be a great idea. But you must follow guidelines from of physician, or a practitioner to make sure you don’t hurt yourself. If you would like a C.H.E.K level 4 Master to work with you during your fasting to make sure you do it correctly without hurting yourself then please give me a call or send me a text!